Haruko is a 65-year old Japanese woman who is a huge fan of Switzerland. She worked hard in her life to be able to finance expensive vacations in Switzerland. Finally, when she turned 30 she could, for the first time, afford to travel to Switzerland. When she was young she had been very curious about the Swiss Mountains and wished to see the ski regions of Switzerland, but when she grew older and couldn’t hike anymore because of osteoarthritis she stopped going to the mountains. What she does now is travel in a tour bus along with other retired people. On such a tour in Switzerland the bus stops in Chur. Haruko was here 35 years ago, in February 2015, when she had to take a bus to go up to the mountains. Now in 2050 Haruko has some time to spend on her own at the main station of Chur while the bus driver is having a break. At the station, she discovers a souvenir store. As Haruko has a granddaughter she wants to find a nice present for her. Haruko had told her daughter and her family many times how much she cherished her memories of Switzerland and encouraged her people to visit Switzerland, too. Now she intends to evoke some interest in Switzerland in her granddaughter so that one day she would like to visit Switzerland as well. When Haruko approaches to the store she is really surprised. The store is not flooded with similar looking, not really useful or appealing souvenirs like it used to be 35 years ago. The store is not packed with stuffed animals and insignificant things with the swiss crest on it. The people in Switzerland seemed to have thought over the whole concept of souvenirs! Some unique souvenirs are attractively presented in shelfs made of beautiful wood. The gifts are placed in appropriate distance to each other so that you can see every item clearly. None is hidden or pushed aside by the other. Harukos eyes catch a cute linen bag with an animal object stitched on it. She thinks that this bag could make her granddaughter very happy as she actually is in the process of learning to stitch. Next to every souvenir there is a nice little brochure. Haruko takes a look at the brochure of the linen bag. After having read the information about her desired souvenir, she is even more convinced that she wants it. In her culture she learnt to appreciate products which were done showing respect to details and high quality. At the cash desk she asks the woman about the new souvenir concept. To clarify the vision of our story the dimensions of the “sustainabuild” model are shown…. And with that video you can receive a simplified visual impression of how sustainable souvenirs throughout whole Switzerland could look like. As demonstrated in our little story, the first step had been taken towards our vision. It was in Chur during the summer of 2015 when the tourism destination “Graubünden Ferien” introduced the “Ideenwettbewerb Graubünden.” Let us take a look at what exactly they created. “Graubünden Ferien” had the strong feeling that there was a need for change in touristic souvenirs. This could stem from pictures like this, which you see when entering a souvenir shop anywhere in Switzerland. If you take a closer look at nowadays souvenirs, like “Graubünden Ferien” did in Chur by carrying out a survey, you can notice that almost all of them are not produced in Switzerland. This has lots of negative consequences like transport costs, not knowing how the employees at a factory elsewhere are treated and missing the chance to include local producers in the souvenir manufacturing. Moreover, as mentioned in our story and visible in the picture above, the various souvenir stores have all almost identical souvenirs. Maybe they have something to do with Switzerland, they have cliché connection to Switzerland such as the cow, the Swiss Army Knives and so on. But you can’t see the typical regional characteristics of the souvenirs in those stores. As a consequence locals will probably not be able to identify themselves with that kind of souvenirs. There are so many different souvenirs or let us say undefinable “junk” items of which it is impossible to tell from which destination they originate! And as touristic suppliers of Switzerland it should be our goal to promote Switzerland in an authentic and appealing way and souvenirs are part of it otherwise we wouldn’t need souvenir stores at all. About what exactly was the “Ideenwettewerb Graubünden”? Everybody who feels creative could take part in the competition, be it tourists, locals, designers or foreigners and many others. There were three winners who won a prize and two additional ideas which were awarded. More information about the competition and the awarded sustainable souvenirs can be found at graubuenden.ch (searching for “Nachhaltige Souvenris”). The first price went to the “Graubündel”. 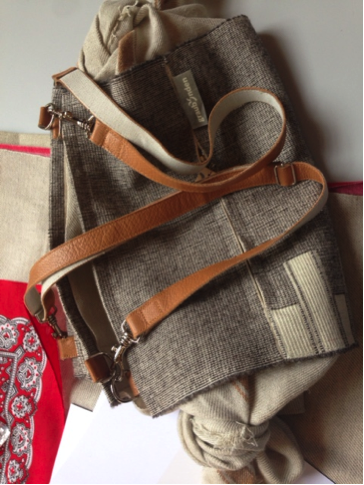 This unique and awesome looking bag is meant to be used for picnics which has a huge tradition in Grisons. 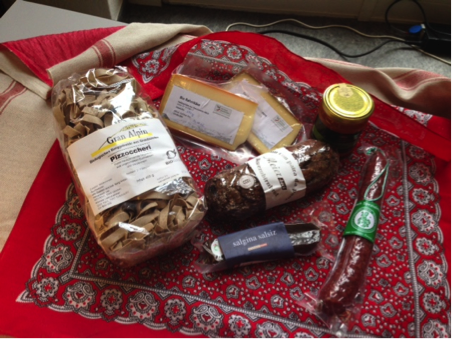 When you buy a „Graubündel“you can fill it with your individual food you need for the picnic. After that you can hike to a nice place, unpack your Graubündel and sit on the rag which unfolds when you open the picnic bag. The product itself is sustainable as it can be used every day, if you like, and not just for picnicking. 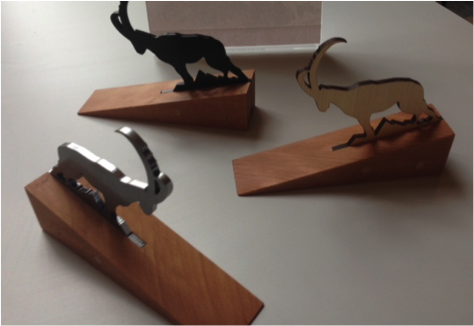 The second price went to the “In buc stinau”, the Capricorn doorstopper. The capricorn symbolizes the most famous animal of Grisons and is also part of Grisons’ crest. With the doorstopper you will no longer have doors shot that need to be left open as the stubborn capricorn will brace his head against the door. 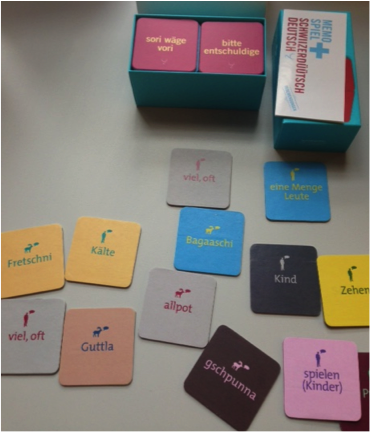 The good old memory game is for young and old and for Grisons, Swiss people and foreigners.Special about this memory Game is that it has some cards with words in Grisons and another card in German which matches the word in Grisons. 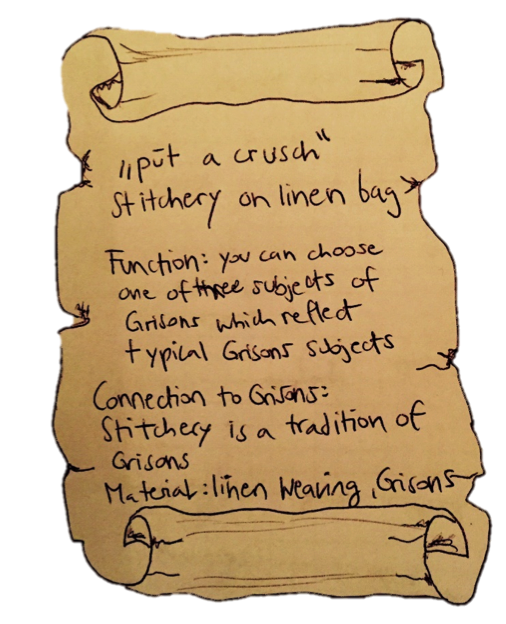 This game is created to preserve the language of Grisons and has also a learning effect besides the fun of playing the game. The cute table light is unique and has some nice details and is very decorative. 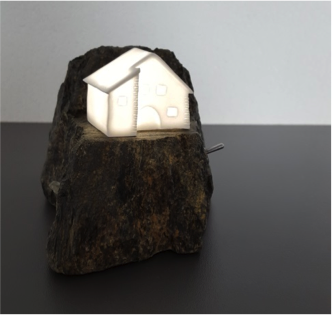 Its connection to Grisons is that Stone manufacturing is a tradition of Grisons and the light has a connection to the region Maiensäss. 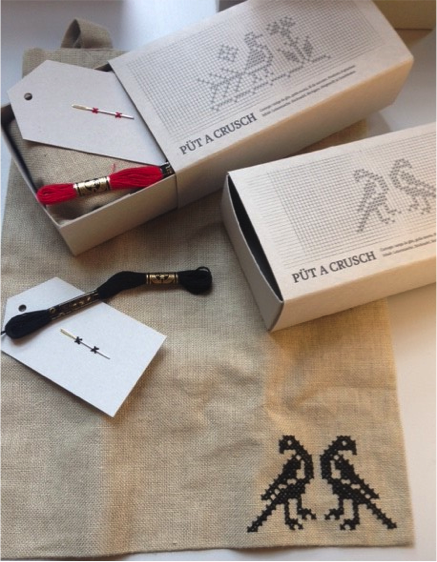 The idea of this souvenir is to send a piece of Grisons beautiful nature to a friend. 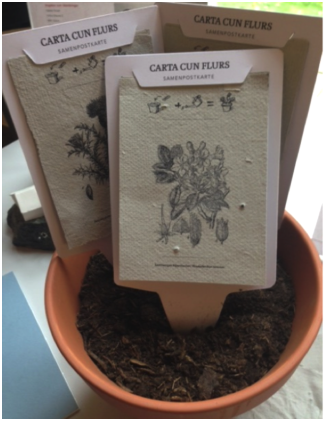 The postcard is made of handmade paper and the postcard is filled with seeds of typical plants in Grison. After reading the card you can plant the seeds and be pleased by the look at a beautiful plant of Grisons at your home. The relation of the postcard to Grisons is that the Canton Grison has in summer and winter a variety of plants. A nice side effect is that with the card people should get sensibilizised about the nature and its beauty. What should we do now to surprise enthusiastic and loyal tourists like Haruko in 2050? The first step should be to raise awareness in other touristic destinations in Switzerland about the example of Chur, namely their “Ideenwettbewerb Graubünden”. This could be achieved by releasing articles in touristic magazines and by talking with Switzerland tourism if they could give “Graubünden Ferien” a space to tell about their released project on a wider scope than before. In addition, the inventors of the “Ideenwettbewerb Graubünden” could visit other tourism destinations in Switzerland and tell them of their experiences, from the process of the competition to the search for local suppliers and managing local production. The interest group should be a contact point for all touristic employees who would like to improve something about the souvenirs in their destination, maybe interested people from other countries manifest themselves. After the successful implementation of our vision it could well be possible that a huge network of knowledge has developed about creating and producing local souvenirs all over the world. As second step it would be helpful for our vision if for instance an interest group is built of people from different touristic destinations which have a strong interest in realizing our vision. They could make some research about souvenirs that exist at the moment in Switzerland and examine where these souvenirs come from, how much CO2 is used to produce them and how much CO2 could be saved if a souvenir is produced locally. The knowledge gained due to that kind of research should be spread over the population in Switzerland. 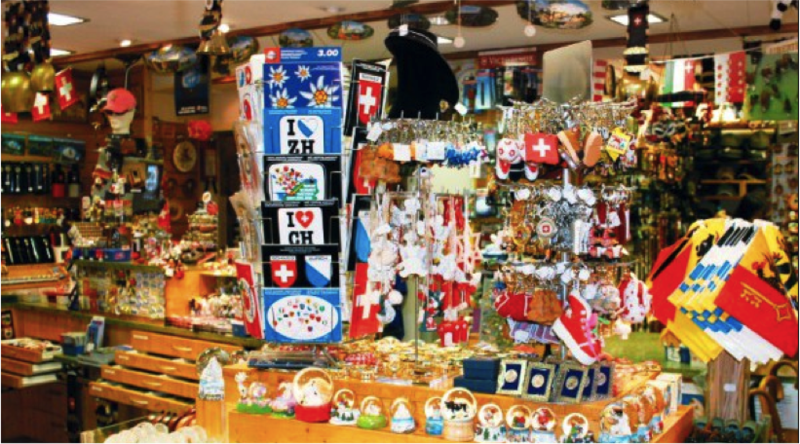 Swiss people should be made aware that most souvenirs at the present time are not authentic, lead to environmental damage and disadvantage local suppliers. People should in that way also be shown the advantages which occur from sustainable souvenirs. In this respect they could be made aware of the project of “Graubünden Ferien” as the first successful example. Maybe people see in that way the need for and joy of a sustainable souvenirs. 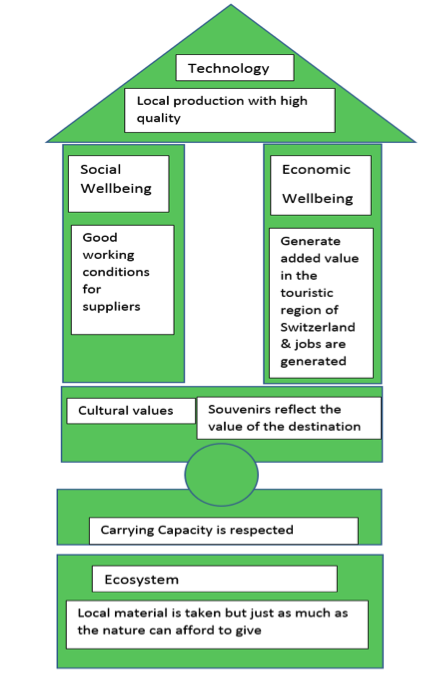 They can identify with the sustainable souvenir and be reminded at the values and beauty of Switzerland. The third step, after touristic decision makers and the greater public are informed and made keen for sustainable souvenirs it is time that touristic destinations implement the process of creating sustainable souvenirs. In that step there have to be found firstly creative ideas. This can be done with a competition, like Grisons did it, but there are for sure many other possibilities. After the ideas are proved according to specified criteria, the possibility to produce this product in a certain tourism destination or at worst in the same country of the tourism destination has to be evaluated. Maybe even before ideas are developed it could be interesting to make a research about existing materials and local producers in a tourism destination. At that point we would also like to mention that there might already be suppliers of sustainable Swiss products, which could be made to souvenirs of a Swiss tourism destination, like Swiss Advance.